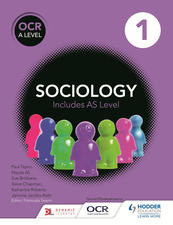 NC Sociology is a resource for all Sociology students at Northampton College. At A Level, Northampton College uses the OCR Sociology specification, specialising in Mass Media and Crime & Deviance. Staff specialisms also include Religion, Health and Social Stratification. On this site, you will find detailed information and updates relating the the key units of the A Level course, alongside forums, blogs, articles, polls and much, much more. Students are encouraged to develop their own blogs and web-pages and link them to this one. Lesson resources (including Powerpoints) are available via the Lesson Resource Bank, whilst Past Papers, Mark Schemes and Examiner Reports are available from the OCR Sociology site (links to both at the top of this page). Northampton College also runs a range of Access to Higher Education programmes, incorporating Sociology and Criminology. Units covered include Crime & Deviance, Criminal Investigations, Identity, Culture, Semiotics, Health and Research Methods​. Sociology is the study of human relationships and institutions and the impact of these things on human behaviour. It explores the ways in which human beings build societies and the effect these societies in turn have on human beings. Studying A Level Sociology is the first step in developing a sociological imagination. This means using your experience of the world and combining it with a wider range of social experiences and concerns. In other words, you will be considering how your own experiences of the world compare to the experiences of other groups and types of people - and the extent to which the society you live in has influenced your experiences. Sociology is also about the gathering and analysis of evidence. The work of Sociologists is to conduct in-depth and detailed research into societies and individuals. Some Sociologists adopt a scientific approach, using rigorous and highly reliable methods to gather precise data, whereas others approach research take a more personal approach, getting rich, valid data through really getting to know the individuals and groups they are studying. At A-Level and ​Access, you will be expected to understand and refer to the work of sociologists and demonstrate an understanding of the methods they use to conduct their research. You will also be expected to understand the 'big' Sociological theories and perspectives that underpin all areas of the subject. These include Postmodernism, Marxism, Functionalism, Feminism and Interactionism. This website is designed for the use of Sociology students at Northampton College. Please note that views and opinions expressed on this site may not necessarily reflect the views of Northampton College itself. Resources on the site are created and published by the NC Sociology department and should not be redistributed or republished elsewhere without permission from the creators.